If your company is using SharePoint 2010 there is a strong chance that all your employee information is already stored in Active Directory. We can use this information to create Organisation Charts really easily. However, if you wish to provide your own name, job title and photo information, this is also possible. In SharePoint, create a new list by selecting Site Actions > More Options. Select the Custom List icon and give it the name OrgStructure. Once it has been created, click Create Column in the ribbon. 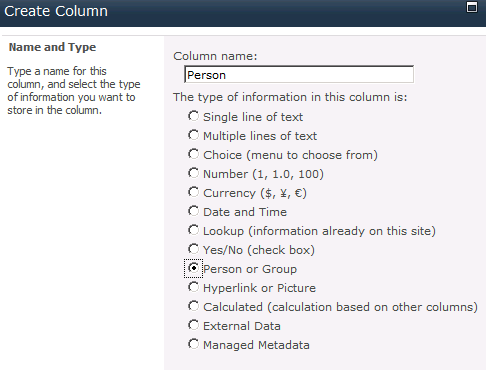 Set the column name to be Person. NOTE: For the template to work this column must be called Person. If you create it with the wrong name, you cannot rename it later. A new column called Person must be created. Set the column type to be Person or Group. Click Create Column in the ribbon again. Set the column name to be Manager. Start adding your employees into the list. For the top most employee, leave Manager blank. You can use the address book icon to help locate the employee. 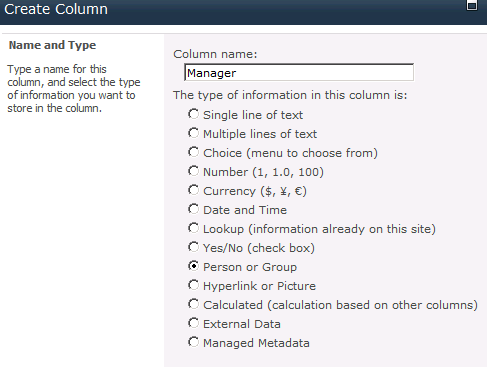 The Title column was automatically added by SharePoint and is mandatory. 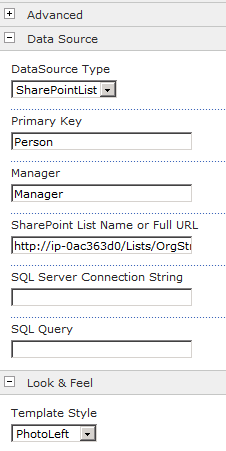 You can fill the job title into this field but the job title displayed on the Org Chart will be from Active Directory. TIP: If you want to have a shared manager, enter the employee in twice with a different manager each time. 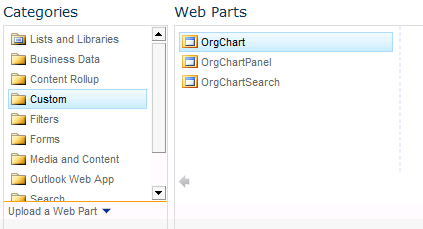 Now create a web part page to put our organisation chart on. Create a new page by selecting Site Actions > More Options. 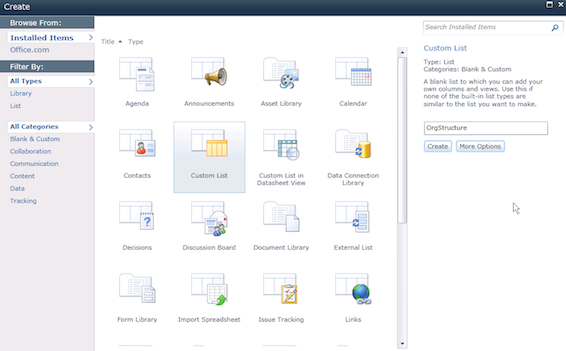 Then select the Web Part page icon and press the Create button. Give it a name and press the Create button. Link the Web Part to the list, by clicking the Click here to configure link. If you don't know this, click Site Actions, then View All Site Content. Then select your list and copy all of the address from the browser. Press the Apply button and an plain organisation chart will be shown. In the web part side panel, expand Look & Feel and change Template Style to be PhotoLeft. Now when you press the Apply button you will get a formatted chart that looks like the one below.